There are many reasons to use a TMC for your corporate travel needs. However, relying solely on a consultant to book all your travel means giving control to someone else. This might be fine for organisations with simple travel needs. Unfortunately, for others it can lead to headaches and additional costs. The solution is using your TMC’s online booking tool (OBT) to book your own travel. There are a number of advantages to taking this DIY approach, especially when making complex international bookings to several countries. Most TMCs provide tools for clients to book simple point-to-point travel online. For international and complicated itineraries, you usually have to go through the consultant. One potential issue with this scenario is delays. After you submit a booking request, you need to wait for the consultant to get back to you. This is usually followed by back and forth communication while the details are arranged and fine-tuned. When you can book your own complex international itinerary online, it’s faster. Most importantly, it reduces service fees and the margin of error between yourself and the consultant. You can book exactly what you need, when you need it and include any accommodation and car hire along the way. Another advantage to arranging your own international travel is transparency. When you rely on a consultant to make the booking, you rely on them to find you the best deals. This can be an issue if they’re remunerated based on the value of your itinerary versus the service they provide. Unfortunately, there are some TMCs who will only show clients the fares that will give them the biggest commission. When you do it yourself through their OBT, you can see all the options available. You also see all routes available. A smart OBT lets you select a route and mode of transport that best suits your budget and schedule. You might find a faster or more efficient way to get from A to B. If a last-minute meeting comes up in Brussels while you’re scheduled to be in London, you can squeeze it in. At JC Travel Professionals we use Alienta, an OBT with unprecedented flexibility and capabilities. 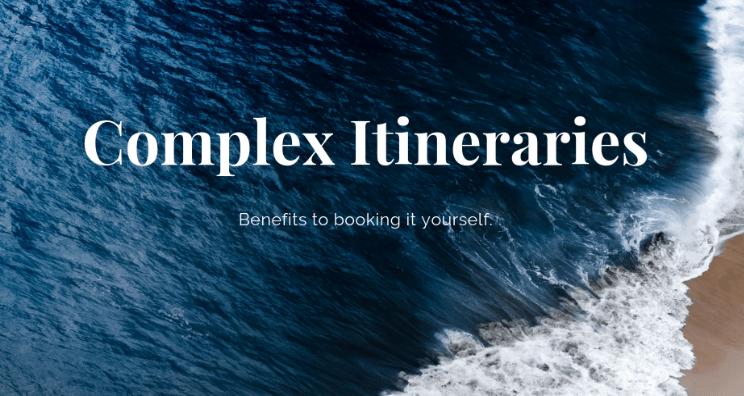 It gives our clients the freedom and control they need to arrange point-to-point as well as complex international itineraries. When you DIY, TMC consultants remain available to provide offline support, troubleshooting issues and answering any questions you might have. By using your TMC’s OBT yourself, you get the benefit of comparing all the options. At the same time, you can save consultant fees and stay in control of your budget and schedule. If you do get stuck, help is always at hand. Arranging your own corporate travel with support from a travel consultant really is the best of both worlds.